A possible overnight closure of Telford's A&E department could potentially last for more than a fortnight, a health boss has admitted. Health chiefs must decide whether to close the A&E at Princess Royal Hospital overnight over safety concerns after a consultant resigned. 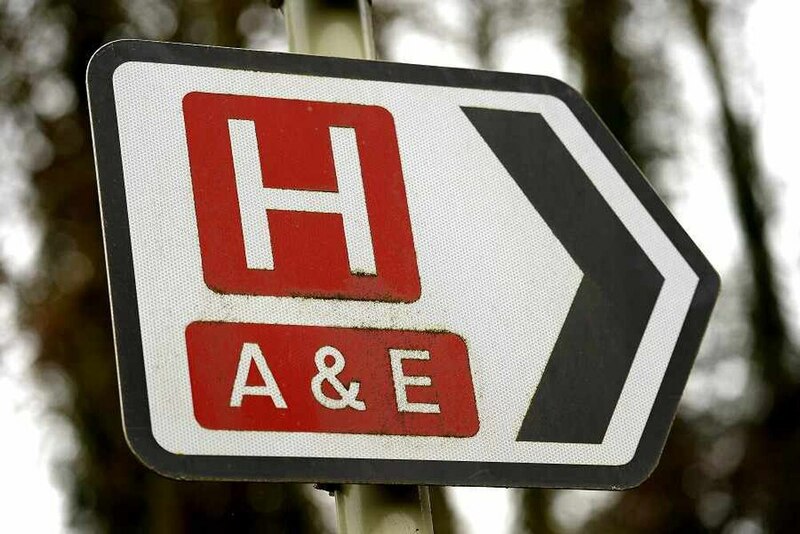 It comes as figures from NHS England show that Shrewsbury and Telford Hospital NHS Trust (SaTH), which runs PRH and Royal Shrewsbury Hospital, was worst in the country for its A&E waiting times last month. A third of patients had to wait longer than the four-hour government target. If staff levels drop too low, hospital bosses can activate a contingency plan which would see the emergency department at PRH close between the hours of 8pm to 8am for up to two weeks. But Simon Wright, chief executive of SaTH, told a meeting of the trust board yesterday that he can give no guarantees that a possible closure could be resolved within a fortnight. However, he added: "I think what we want inevitably to be looking at is how to secure enough staff to keep the unit open and safe." He said the 'tipping point' would be if SaTH cannot secure enough consultants on its rota, but added that measures were being taken to try to prevent any overnight closure from happening. Mr Wright added: "It is absolutely in our interest to keep them open, but it must be safe." SaTH has struggled to recruit doctors for its A&E departments, with health chiefs citing it as one of the main reasons for its desire to create one emergency centre at Shrewsbury as part of the Future Fit health review. NHS England is reviewing the scheme and Mr Wright told the board he is yet to hear a decision. He said he was aware of a series of meetings happening over the next 10 days and that it was "possibly just weeks" until news emerged. If the go-ahead is given, a public consultation can begin. The Future Fit process will shape the future of the county's hospital services. Shropshire and Telford & Wrekin CCGs have signed off on a preferred option, which is for a single A&E unit at RSH, while planned services will be centred at PRH. The consultant-led women and children’s unit will move to Shrewsbury under the plans, although Telford would retain a midwife-led unit. Walk-in urgent care centres would be set up at both RSH and PRH. The reorganisation is expected to cost in the region of £300 million.